*This story was originally published on Dec. 6, 2013—the day following Nelson Mandela’s death. 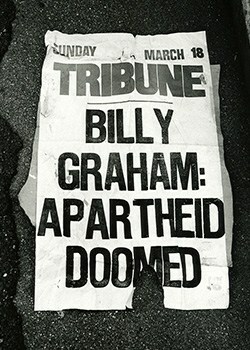 Billy Graham and Nelson Mandela never met but the two have been connected in many ways over the years. And the two corresponded with each other through letters during Mandela’s 27-year prison sentence. But it’s the shared passion to end apartheid that universally united these two. Mr. Graham held Crusades in both Durban and Johannesburg in 1973, some 20 years after receiving initial invites to preach in South Africa. He wouldn’t accept an invitation unless the Crusade meetings were racially integrated. Two decades before that, he personally removed segregated ropes at a Chattanooga, Tenn., Crusade. Overflow crowds of more than 100,000 people came out to see Mr. Graham preach in Durban and Johannesburg in the country’s first integrated public meetings. “It was at those meetings that I was struck with the terrible injustice of the apartheid system, which I referred to as ‘sin,’ “ Mr. Graham said. 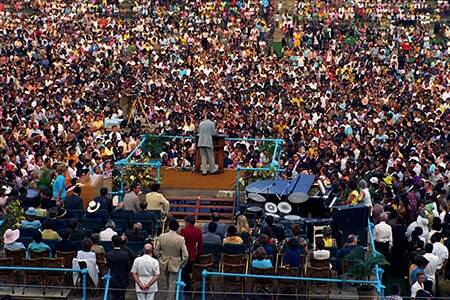 Decades later, Mr. Graham was one of Mandela’s supporters when he took office in ‘94. 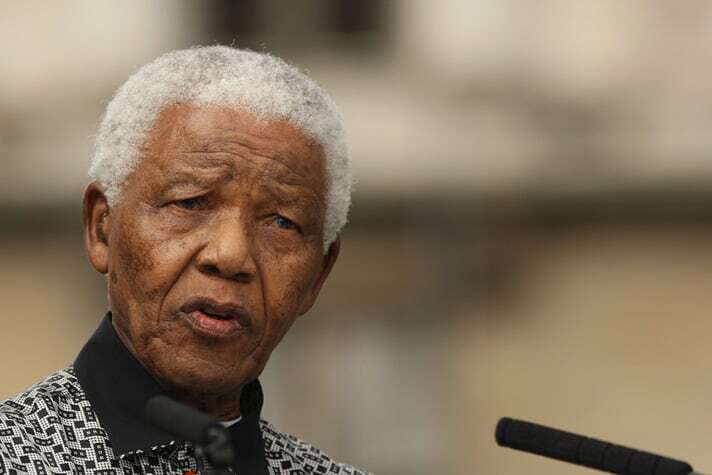 Mandela died at age 95 on Dec. 5 after a long illness. Former South Africa President Nelson Mandela, who spent 27 years in prison due to anti-apartheid activities, passed away on Dec. 5 at age 95.